During my research for one of my more or less recent publications, the Legends and Stories around the Japanese Sword 2, I came across a number of legends and transmissions regarding the swordsmith Sanemori (真守) which are interesting enough not to be dismissed right away. In chapter 2 on the famous Kogarasu-maru (小烏丸) I introduced the sword Nuke-maru (抜丸) which was once in the possession of Taira no Tadamori (平忠盛, 1096-1153). Some later chroniclers cunfused the Nuke-maru with the Kogarasu-maru as it was once called „Kogarashi“ (木枯), but most experts assume that the Kogarasu-maru and the Kogarashi were two different swords, which were both handed down within the Taira family. 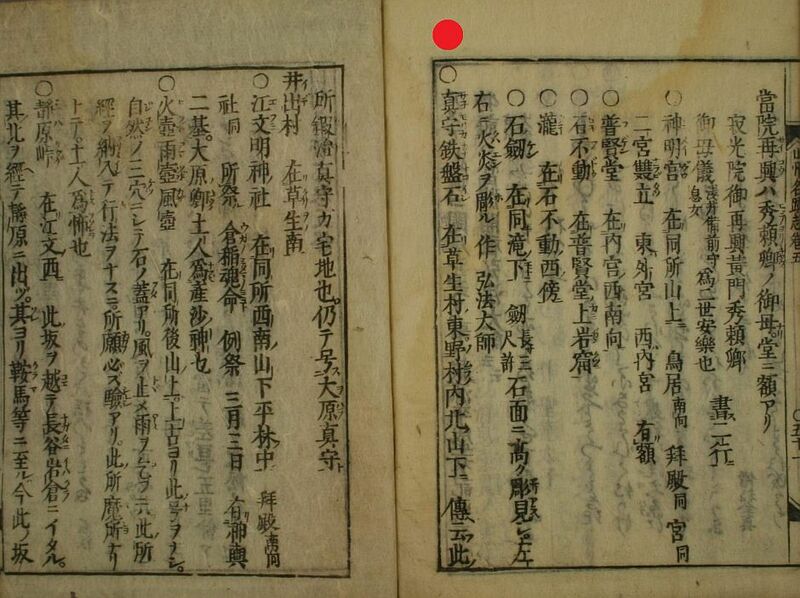 Another „proof“ that there were two swords are their different provenances after the time of Tadamori as the latter bequeathed the Kogarasu-maru and the Kogarashi to his oldest son and heir Taira no Kiyomori (平清盛, 1118-1181). More details can be found in my book and I want to continue with another transmission which says namely that the Nuke-maru was a work of Ôhara Sanemori (大原真守), the supposed son of the famous Yasutsuna (安綱). According to that transmission which is also found in the „Kokon-mei-zukushi“ (古今銘尽) from Manji four (万治, 1661), Sanemori made the Nuke-maru as “protective sword” (mamori-gatana, 守刀) for emperor Saga (嵯峨天皇, 786-842). Well, this can be ruled out as also Yasutsuna´s active period has been dated around the mid Heian period and the late 10th century. And as more recent sword publications date Sanemori even around Hô´en (保延, 1135-1141) it is, at least from the point of view of time, possible that he made the Nuke-maru for Taira no Kiyomori. Picture 1: kokuhô, tachi, mei: Sanemori tsukuru (真守造) – mune-mei: Ôhara (大原), nagasa 76,7 cm, sori 1,9 cm. There are blades extant by Sanemori which are signed with „Hôki Ôhara Sanemori“ (伯耆大原真守). Because of these signatures and as it is obvious, most experts assume that he lived in the village of Ôhara in Hôki province which was located about 10 km to the southeast of present-day Yonago City of Tottori Prefecture. However, Sanemori did not explicitly mention „jû“ (住), i.e. „resident of“. This doesn´t have to mean anything but leaves nevertheless room for speculation. By the way, the blade shown in picture 1 bears the supplement „Ôhara“ on the back of the tang what is quite uncommon. 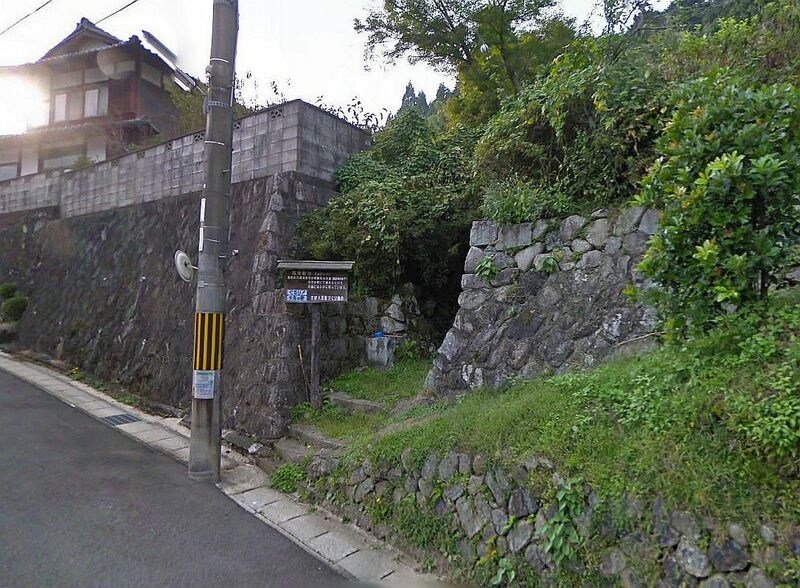 One such a speculation takes us to the village of Ôhara of the same name, not in Hôki but in former Yamashiro province. 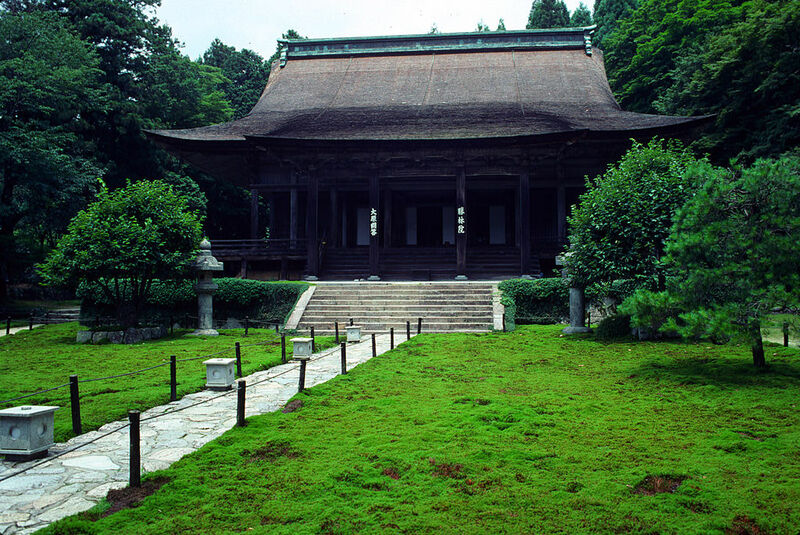 This Ôhara was located on the main road which connected Kyôto with Wakasa Bay and just about 6 km to the south was the Enryakuji (延暦寺) on Mt. Hiei. And now things are becoming interesting. There in Ôhara, or to be more precise in the present-day Ôharanomura-chô (大原野村町, see picture 2) exists a legendary stone and well. The flat natural stone is namely called „Sanemori-kanatokoishi“ (真守鉄盤石, lit. „Sanemori´s anvil“, see picture 3), and the well „Sanemori no i“ (真守の井, lit. „Sanemori´s well“, see picture 4). Already the old local history „Sanshû-meiseki-shi“ (山州名跡志, „Famous Ruins from Yamashiro Province“) from the first year of Shôtoku (正徳, 1711) mentions this stone and well and says that once the house of the swordsmith Sanemori was erected at this area, that he used the stone as anvil, and that is why he was called „Ôhara Sanemori“ (see picture 5). On the other hand, the much later „Kyôto-minzoku-shi“ (京都民俗志) written by Inoue Yoritoshi (井上頼寿, 1900-1979) says that the well or the well water respectively is called „Kokaji no mizu“ (小鍛冶の水, lit. „Kokaji´s water“), as another legend says that the water was used by the famous Kyôto smith Sanjô Kokaji Munechika (三条小鍛冶宗近). Inoue also writes that the local people still arrange shimenawa around the well at New Year. Besides of that he quotes the stone as „Taira no Kiyomori kanatokoishi“ (平清盛鉄盤石, lit. „Taira no Kiyomori´s anvil“) what would close the circle to the transmission that Kiyomori owned the sword Nuke-maru by Ôhara Sanemori given to him by his father Tadamori. But there is more speculation. Some blades of Sanemori are signed with „Shô/Kachi/Katsu“ (勝, lit. „victory“) (see picture 6). Well, it is unclear of this supplement has a literal meaning, was a nickname or a family name. Used as family name this character would read „Katsu“ or „Kaji“ and might be a pun and stand for the homonymous „kaji“ (鍛冶) which means „smith“ as we know. 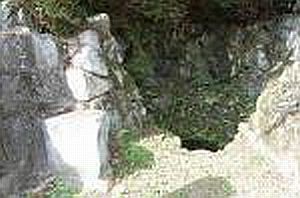 But some see this character in the context of Ôhara in Yamashiro province and assume that it is an abbreviation, namely an abbreviation for the local Tendai temple Shôrin´in (勝林院, see picture 7) located only about 1,5 km to the northeast of the well. Father and son Tadamori and Kiyomori had some disputes with the Tendai-monastery Enryaku-ji what shows us that they were at least in that area. So if we let our thoughts run free it is possible that Tadamori had the local smith Sanemori make him a sword when he was around and Sanemori was somehow affiliated with the Shôrin´in, but most experts assume that the legend with the well and the old smithy of Sanemori emerged much later and just because of the same name „Ôhara“ and further they assume that the smith neither worked nor lived there. But there is another interesting sidenote. We know that the Etchû-smith Norishige (則重) tried to reproduce the old Ko-Hôki style and several extant blades definitely show his approach. And there exists a tokubetsu-jûyô tantô of Norishige which also bears the character „Shô/Kachi“ (see picture 8). 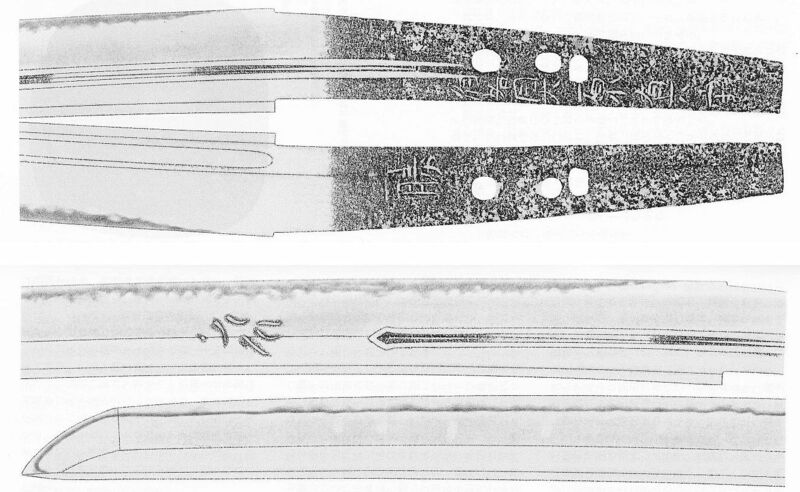 Like on the Sanemori blade seen in picture 6, the character in question is chiselled above the mekugi-ana, that means not directly connected to the name of the smith. So maybe this character was a way for Norishige to show that he knows Sanemori´s blades very well. Anyway, the reproduction of the Ko-Hôki style by Norishige and this single character known to be used by Sanemori is in my opinion too much to be just a coincidence.